Line of custom invitations for wedding and birthdays. Bridal showers, graduation parties, birthdays, weddings, cocktail parties, and more all start with a invitation to set the tone. 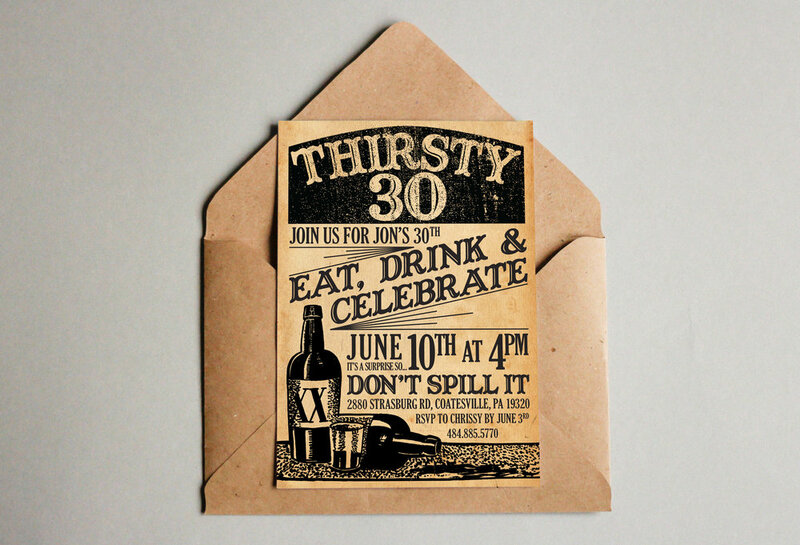 Custom letterpress invitation suite including invitation, RSVP, directions card, hotel information and save-the-date. 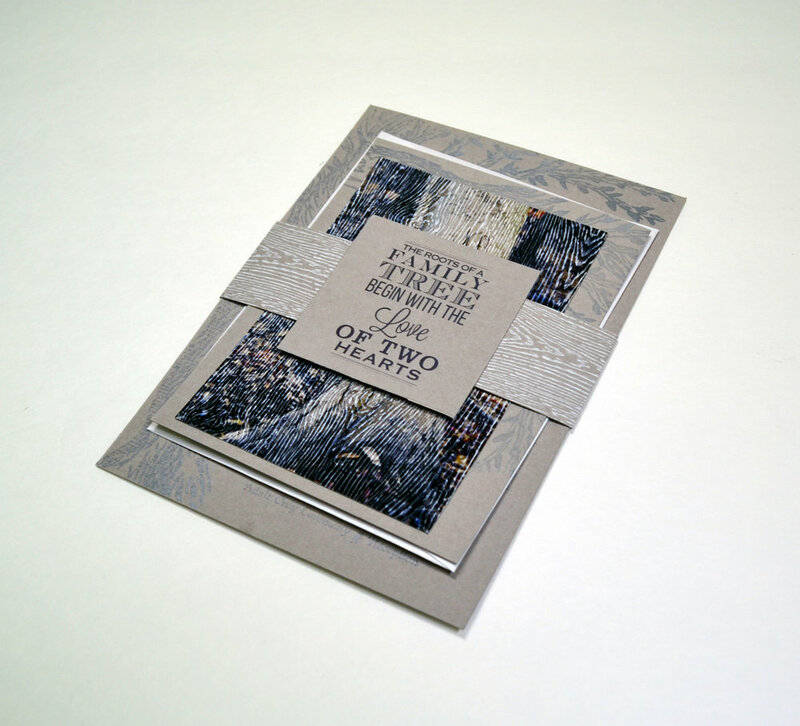 The invitation and RSVP are letterpress printed on a Chandler and Price Pilot press using hand carved linoleum blocks and hand set lead type. 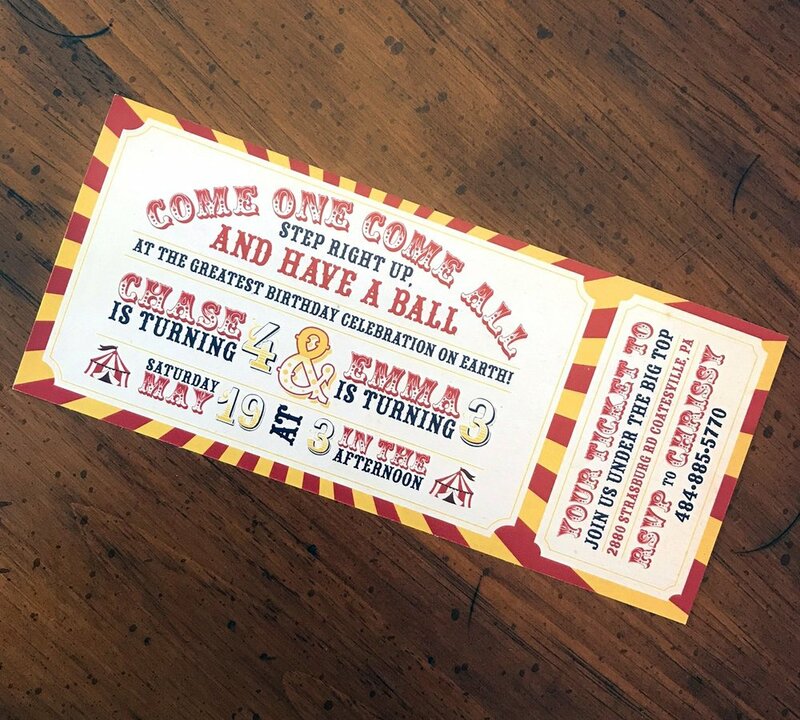 Custom birthday invitations for big kids and little ones.